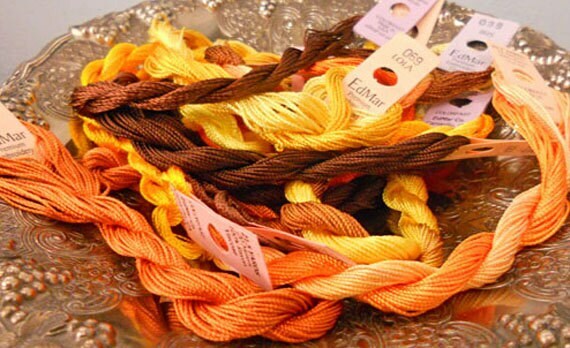 Peanut Butter Pieces Thread Pack of 10 skeins of Edmar Thread. Peanut Butter Pieces Thread Pack contains 10 skeins of thread of Edmar Thread. This grouping is all shades of brown, yellow, and orange.